It had been a while since I purchased a full bottle of any perfume. Fall is on it’s way (very evident today with highs in the 50s) and I felt the need for a new fragance, one that had a big personality that would put me in the mood. It’s been a while since I had last sampled Fougere Bengale, but I knew that it was the perfect scent to put me in the spirit of the change of season. WHAT I SMELL: Strong lavender, mint and ginger which combined smells like curry (Immortelle?). It’s very medicinal and masculine. This is not an unassuming scent and a little goes a long way. 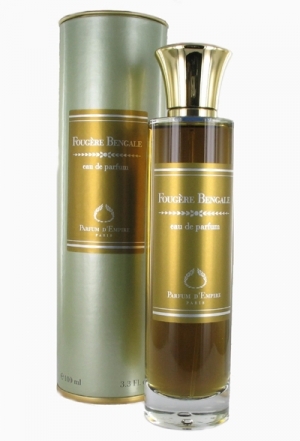 After this initial rush to the senses, Fougere Bengale becomes almost thick in its form. It gets heavier and turns to a slight syrup; it’s spicy, curried and green and ready to bite. The drydown is the best part, like many of the Parfum d’Empire perfumes, the oakmoss leaves a light dustiness to the fragrance which is left without the sharp top notes, but still remains exotic and spicy but much calmer thanks to the vanilla and patchouli mixed with the tobacco. Fougere Bengale is a truly unique fragrance. 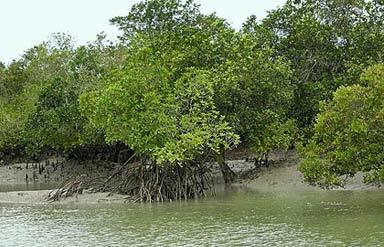 WHAT IT SMELLS LIKE TO ME: To me this is not heavy and hot India sweltering in the sun, but instead India after a cool spell where the rain and a good breeze has tamed the land. BOTTOM LINE: This is an either you love it or hate it perfume. I can’t get enough of it, my better half HATES this and doesn’t like for me to be around him when I’m wearing it. Also, a little goes a long way and I have to be very cognizant of how I apply it. Parfum d’Empire once again makes it very easy for me to love them with this creation! Categories: Parfum d'Empire | Tags: 4 bones, EDP, Fougere Bengale, fragrance, parfum, Parfum d' Empire, review | Permalink.